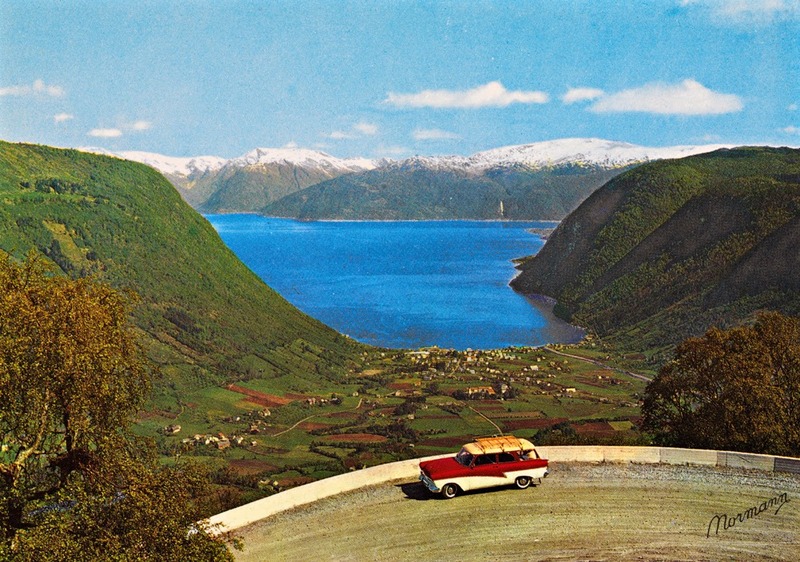 A delightful set of photo postcards made in Norway in the 1960s. 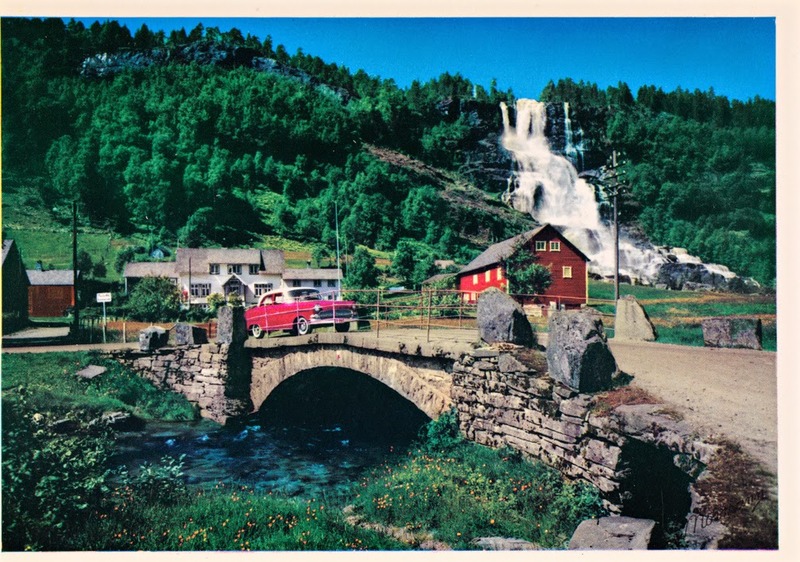 Wonderfully, nearly all the cards in the set include a cheerful red car (of various makes), merrily making its way through the Norwegian countryside. 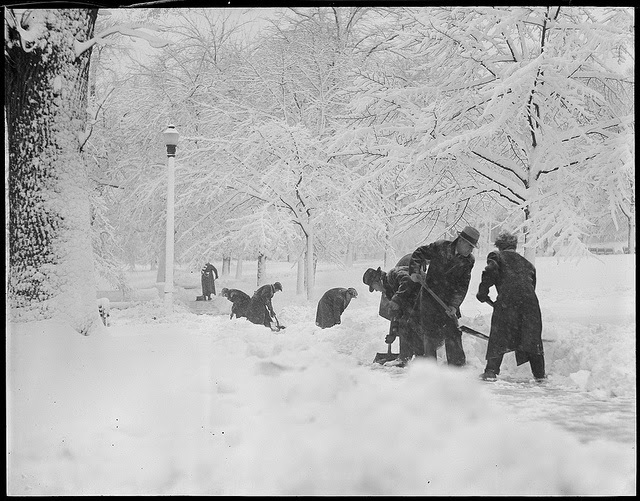 The postcards thus evoke a series of personal snapshots of one person's road-trip (better snapshots than anyone could actually take!). Of course, in a sense, they are: the car(s) belonged to the photographer. 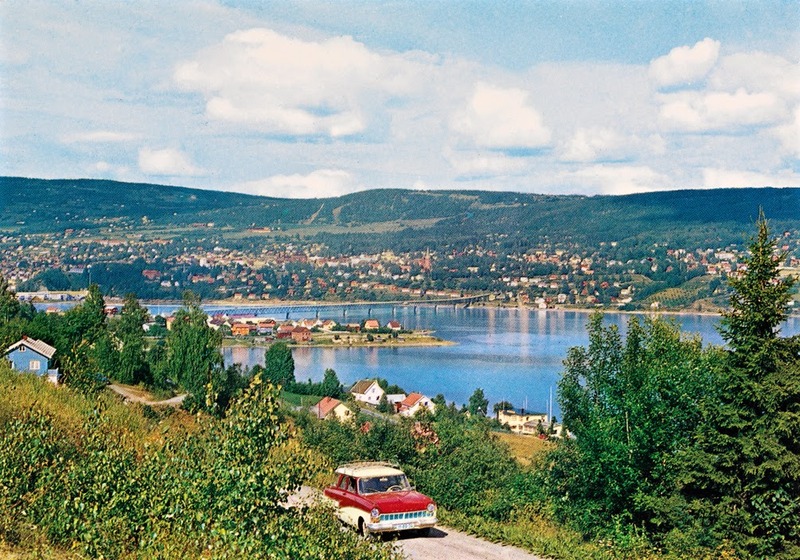 Since the photos' captions are only in Norwegian, which I don't speak, I've pasted them in full, so as not to mix up place names and descriptions. What better day to have a dip into my dear collection of 1920s/30s French romance postcards? 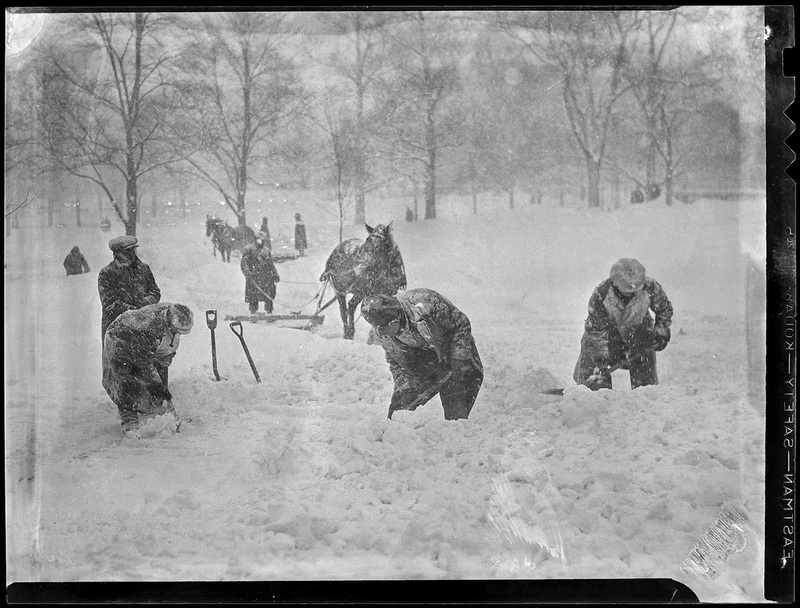 For the uninitiated, the genre is characterized by its embellished scenes of idealized romance--perfect for Valentine's Day! So, here is a selection of passionate (or at least passionately posed) kisses. Cynics can come back later. I've included the backs, because most of these postcards, especially the more romantic ones, were in fact sent between couples. So there's the real romance in addition to the staged, a meltingly lovely combination. 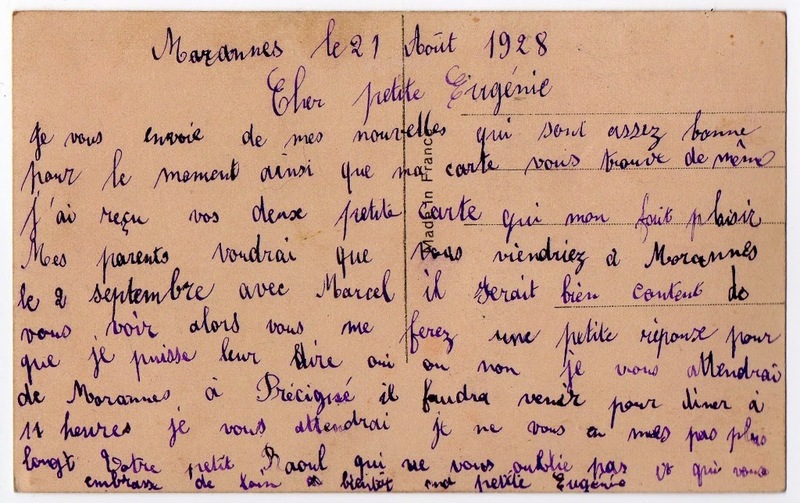 Written November 15, 1930, in Bourges, to a woman named Germaine. 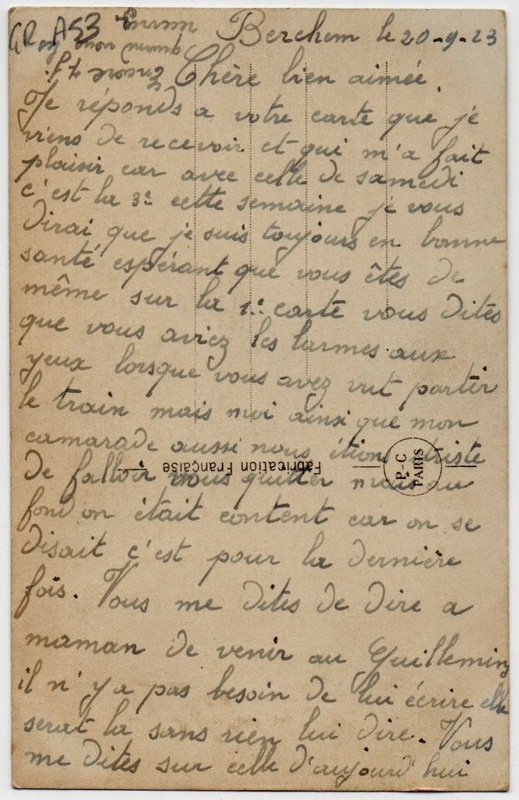 Written on September 20, 1923, in Berchon, from a man to a woman. 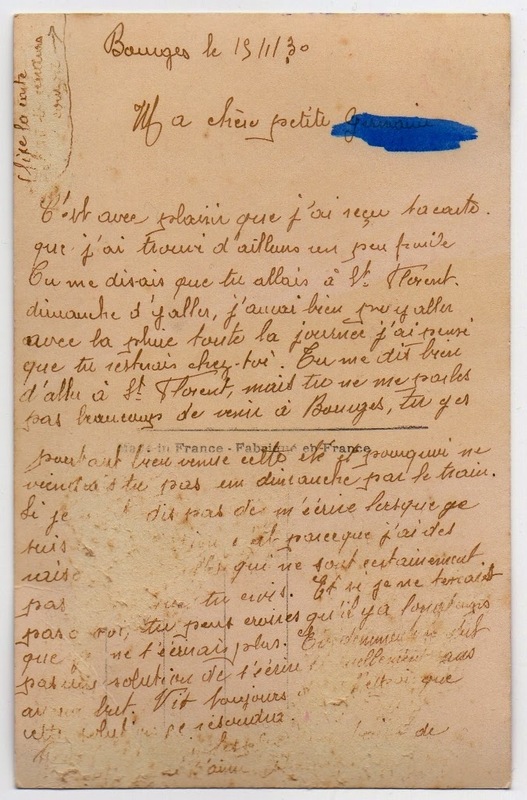 Written August 21, 1928, in Marennes, from Raoul to Eugenie.